Budding entrepreneurs know that they need to learn how to manage business revenues, and they often investigate how a finance degree can help you start a business. Knowledge of financial principles is key for entrepreneurs who want to launch new businesses. Besides learning how to manage money well, those who are well versed in financial management know how to conduct quantitative analyses of markets to determine risks and potential opportunities. Here are some specific topics covered within most finance degree programs that can help new businesses survive and thrive. Nearly all undergraduate finance programs include course work on business strategy. Many graduates who expect to move up the corporate ladder must know how to update, maintain and implement a business strategy. This business function is valuable for new start up companies because it requires that entrepreneurs identify a target industry and customer. Financial analysis is needed to gauge the attractiveness of an industry as it relates to growth potential, competition and any barriers to entry. The study of business strategy within finance programs allows students to think about potential ways to enter new markets as well. For example, a new start up can try to be the low cost leader in the market, or they can differentiate their product or service to justify higher prices than competitors. New start up companies can also benefit from a finance graduate’s knowledge of financial planning right from the start. Many small business owners have to spend extra funds to hire professionals to help them to plan out their tax obligations as well as to determine financial contributions to employee retirement benefits. Prospective business owners with a financial planning background can accurately forecast how much funding that they will need to launch their start ups. They can also establish plans for future resource allocation. While there are many types of business start up software that help entrepreneurs to conduct financial planning, an academic background in finance prepares business owners to accurately interpret and make use of financial planning data. Some aspiring business owners often choose to purchase an existing business to quickly penetrate a market and serve that organization’s existing customers. A background in finance allows business owners to quantitatively assess investment projects instead of relying on intuition alone. Financial functions like capital budgeting are also performed by finance graduates who must evaluate whether the company will earn a good return on investment on business purchases like those for materials, equipment or research and development. The financial analysis skills that are needed to conduct these business functions satisfactorily are key to the survival of new ventures. Also, a business owner who can logically communicate these capital budgeting strategies may attract funding sources from interested venture capitalists. Most finance degree programs include a rich mix of statistics and economics course work, and expertise in these areas is just what new business owners need to keep their start up ventures on track after they have been established, according to the Houston Chronicle. Nearly every business generates large amounts of data, and knowledge of statistical analysis can help business owners to use the data to improve customer relationships or to successfully enter international markets. 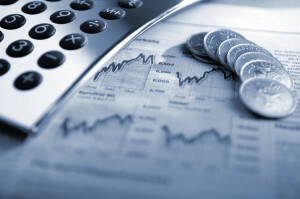 Most finance degree programs teach students how business finances can be managed to maximize profits of organizations. The question of how a finance degree can help you start a business is answered by the undeniable role that financial principles play in building business value.